YouTube - The Bio Dude tells us about his new bioactive substrate line, Terra Aranea. This substrate was designed specifically for tarantulas, scorpions, centipedes and spiders. It is a one-of-a-kind substrate, which works for all biomes and effectively drains, retains the proper amount of moisture, and retains all tunnels and burrows made by invertebrates. In this video Josh goes over the in’s and out’s of the Terra Aranea, how to set it up, maintain it, and how the system works over time to benefit the invertebrate inhabitant and also make keeping them easier. 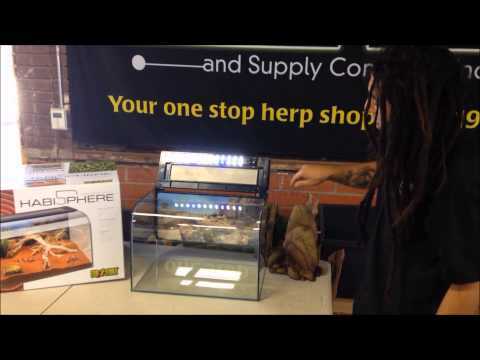 YouTube - Check out some of the cool features of the new Exo Terra Habisphere in this video from LLL Reptile. 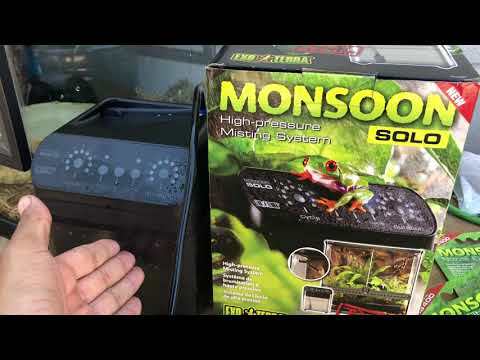 YouTube - Chris at LLL Reptile shows us how to set up and use the Exo Terra Monsoon Misting System.